A literary critical analysis is not merely a summary of a literary work. Instead, it is an argument that expresses an interpretation, judgment, or critical evaluation of the work. This is accomplished by examining specific literary devices (symbols, themes, metaphors, tone, point of view, diction, structure, etc. ), within the work. The purpose of a critical analysis is to demonstrate how these elements convey meaning. In your analysis, you will most likely discuss how certain literary techniques are used to convey specific ideas. You will discuss what a literary piece means and how it achieves its effect. To write critically, you must provide analysis of specific evidence from the text (words and phrases; avoid long quotes). The goal of this assignment is to give the audience an interpretation of the literature. 1. Introduction (explore the subject? of your analysis and end with a thesis statement). 5. The first lines of paragraphs are indented 5 spaces with no extra line space between paragraphs. 6. No title page, cover page, folders, or hand-written essays. o Use quotation marks for poetry and short story titles. o Cite the literature’s date of publication after the first mention (in parenthesis). o Outside sources. The only source allowed for this assignment is the literature. o First-person (“I,” “me”) and second person pronouns (“you,” “your”). o Using “I think,” “I feel,” “I believe,” and “In my opinion” because these statements prove nothing. o Using the author’s first name. o Evidence (quotes) without introductions and explanations. Voter repression, police brutality, and systematic race-based rights deprivation remain problems in spite of all the laws and legislation preventing discrimination. No matter what the Constitution says, and many decades after passing the fifteenth amendment, institutionalized racism remains real and was so even more poignantly during the days of Jim Crow. Fannie Lou Hamer spoke out against racism in America on the cusp of the Civil Rights movement, at a critical moment in American history. Delivered to a community meeting in 1964, Hamer’s speech “We’re On Our Way” motivates her audience to take action and demand all rights and freedoms rather than passively accept oppression. One of the cornerstone themes of Hamer’s address is the need to be unafraid of exercising fundamental rights and freedoms of speech and expression. Fear is one of the tactics used by the white oppressor to keep silent the African American community. Hamer uses powerful imagery, diction, and anecdotes to remind her audience that all African Americans—indeed all oppressed people—have succumbed to fear and intimidation. Fear and intimidation come in the form of police brutality and labor exploitation leading to widespread poverty, which diminishes the will to participate in the political process. Yet as Hamer points out, “if I have to die for this—we shall overcome,” (42). It is critical to overcome fear and intimidation, even the immediacy of hunger and anger, in order to take back rights and freedoms. Without a fight, the oppressors will continue to get away with their tactics and goals of maintaining power. In fact, Hamer points out that political activism will create a better nation and improve the quality of life for all people: “We are fighting to save these people from their hate” (42). A nation that professes to be about freedom, democracy, and the pursuit of happiness cannot be mired in hatred. Hamer also points out the ineffectiveness of religion in helping to improve conditions for African Americans. The preachers, note Hamer, have been urging pacifism, telling their congregations to avoid taking part in political marches. Yet Hamer points out the fallacy of their approach. “You can pray until you faint, but if you don’t get up and try to do something, God is not going to put it in your lap,” (39). Taking action is essential; God helps those who help themselves. Moreover, Hamer points out that preachers willingly accept money from politicians and likely urge pacifism only to appease those politicians to secure money for their churches: “he’s telling a big lie because every dollar bill got a politician on it and the preacher love it,” (47). Hamer therefore rallies against corruption at all levels of society, showing that oppression is systematic and pervasive. Political protest is an act of freedom, an exercise of the right of freedom of expression, guaranteed in the constitution. There is no reason to remain silent, and silent only serves to perpetuate oppression. Oppression in America is a race-based phenomenon as well as one that is class-based, creating intersectional oppression. “If you were born in America with a black face, you were born in the mess,” states Hamer (17). Using the metaphor of a mess draws attention to the urgency of the situation. The tone of Hamer’s speech is urgent, and to underscore the need for immediate action rather than passive waiting, Hamer uses rich imagery of police brutality that she has personally experienced. The narratives add depth and clarity to what would otherwise be abstract political issues. “We can no longer ignore the fact, America is not the land of the free and the home of the brave,” (35). Alluding to this cliché of American identity shows how far the nation needs to come, in order to create a truly egalitarian society. Using potent imagery, diction, and a strong point of view, Hamer speaks on behalf of her people and all oppressed people in America and urges change on behalf of creating a more perfect union. "Literary Analysis of Speech “We’re On Our Way” Essay." Aceyourpaper.com. Student Network Resources Inc, 24 August. 2017. Web. 20 April 2019. Student Network Resources Inc. "Literary Analysis of Speech “We’re On Our Way” Essay." Aceyourpaper.com. 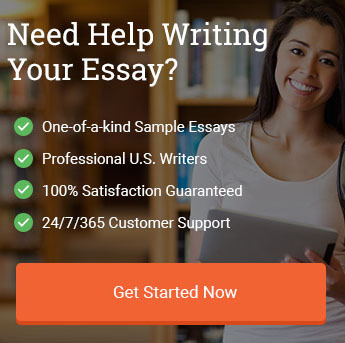 https://www.aceyourpaper.com/essay/literary-analysis-of-speech-were-on-our-way-essay/ (accessed April 20, 2019).